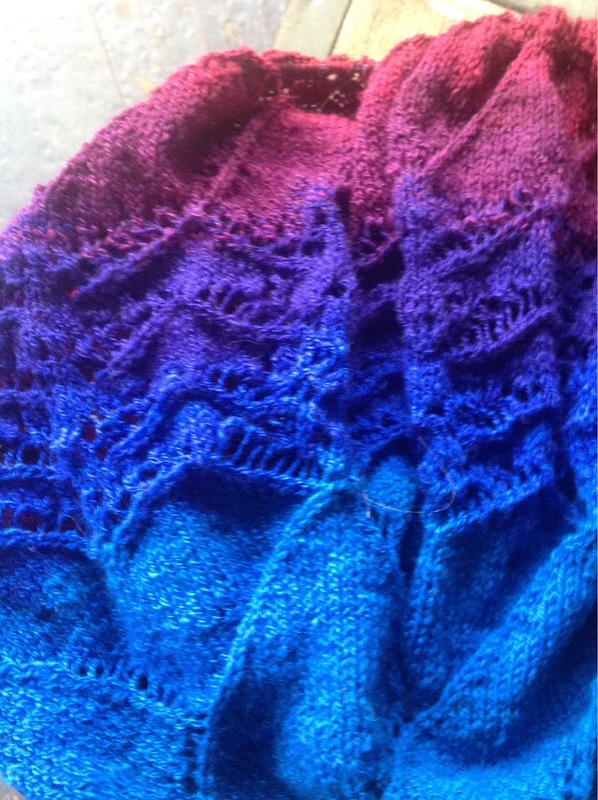 The main body of my shawl with the KnitGirlls gradient from Fiber Optic is complete. Now I am trying to figure out how the lace bind off is done, I am a bit perplexed at the moment. I sent an email to the designer, and she did respond, I need to try again with her suggestions. Love the colors, and cant wait to wear this. And on my Joy I finally finished the second of 2 oddball braids that I had purchased from a fellow Raveler’s stash. 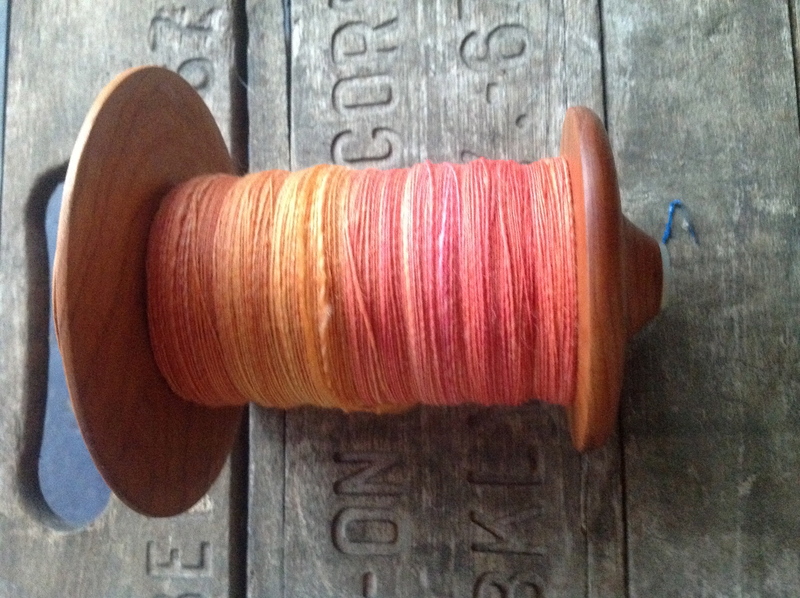 The spinning on these was started during the past summer when I was traveling a lot, and were easily forgotten when things settled down and I was at home playing with my wonderful Jensen. The two braids had a common color of bright green one playing with purple, the other with pinks. 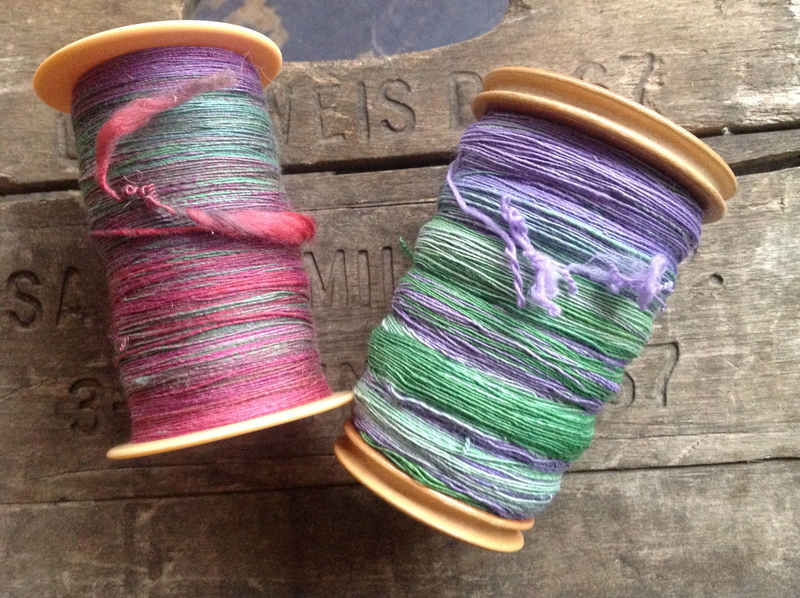 During the plying I keep wondering if they are just going to turn to mud or not, hopefully a finished photo tomorrow. Lovely! Love the bright shawl!! !